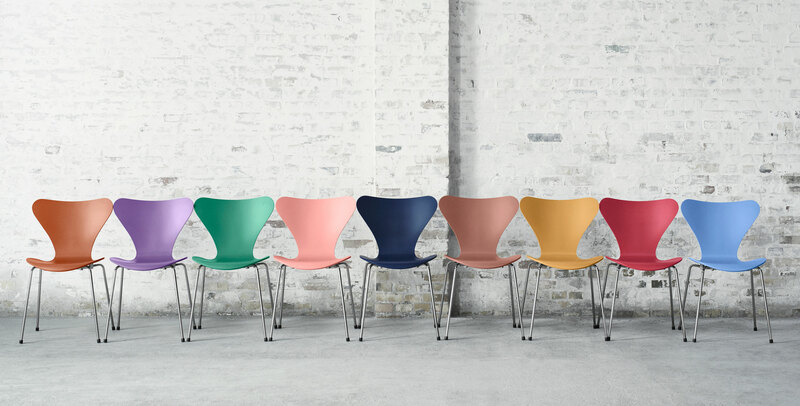 The Series 7 Chair was designed by Arne Jacobsen for Fritz Hansen in 1955. The chair features the iconic 'Series 7' moulded backrest combined with a chromed 4 leg base. Featured as part of the Fritz Hansen 'Series 7' product family, which also features; an armchair, various stools, a swivel chair, a swivel armchair and a children's chair. This listing is for the Series 7 Chair with coloured ash shell (visible grain) and chromed base. 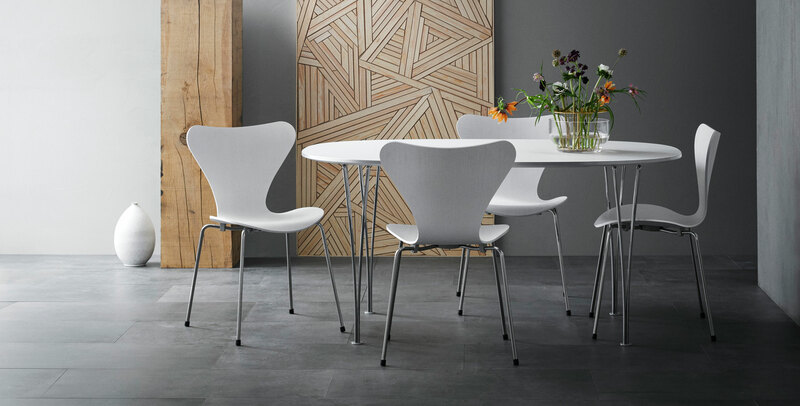 The Fritz Hansen Series 7 Chair is supplied with a full manufacturers warranty.